Published on 19 January 2012. 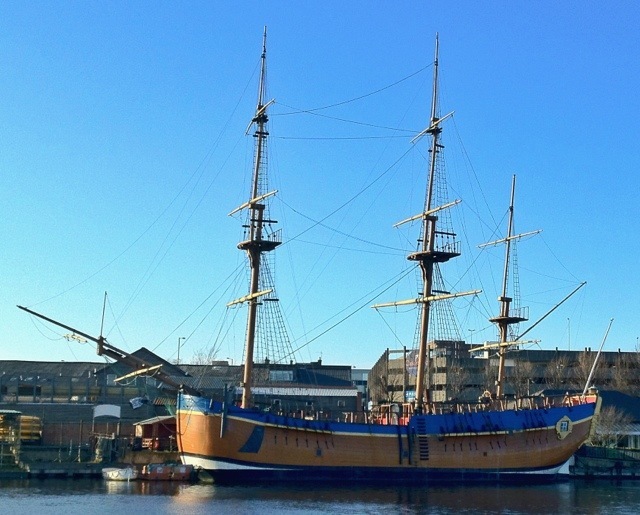 This ship, one of the world’s two full-size replicas of James Cook’s famous vessel, is permanently moored in Stockton-on-Tees, just round the corner from my office. And yes, it really is that sunny today. This 1,488th post was filed under: Photo-a-day 2012, Shipping, Stockton-on-Tees, Tourist Attractions, Transport. Trackback received at 18:37 on 4th April 2012.